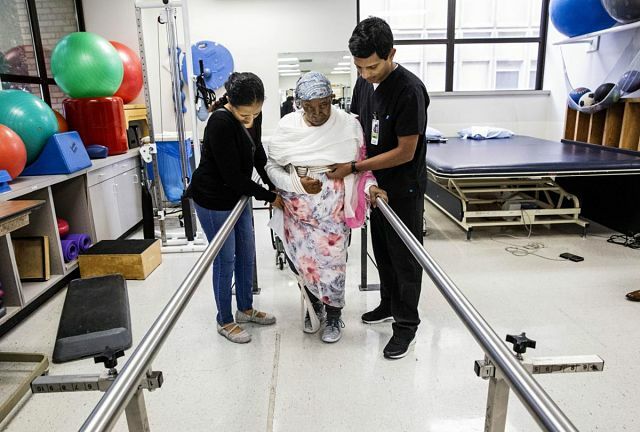 DALLAS – When Hareg Wolde arrived in the emergency room to see her mother, doctors gave her grave news. Her mother had suffered a massive stroke, they said, and she might not live through the night. The Dallas Morning News reports Wolde was shocked. Just the day before, her mother, 68, had been strong and limber. She had climbed up and down the stairs of their Garland house with ease, cooked meals and cared for Wolde’s two young children. Now she lay unconscious, her right side paralyzed. The situation would be upsetting for anyone. But Wolde, who is originally from Ethiopia, felt bewildered. Not only had she never heard of a stroke, but her native language, Amharic, has no term to describe the world’s second leading cause of death. Her predicament is not uncommon in Dallas. Amharic is the fourth most commonly spoken language at Parkland Hospital after English, Spanish and Vietnamese. North Texas is home to as many as 40,000 Ethiopian immigrants and one of the fastest growing African-born populations in the United States. 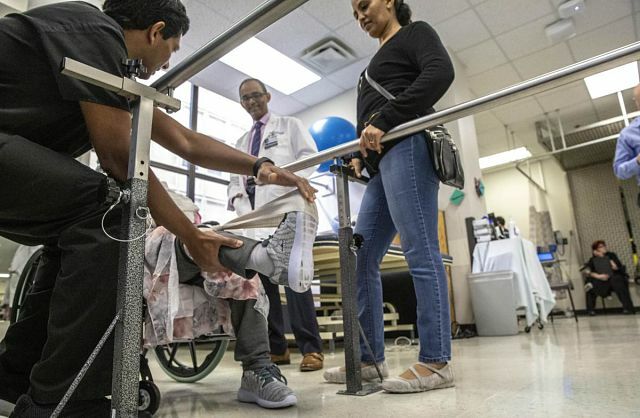 Language and cultural barriers contribute to poorer health among immigrants and ethnic minorities, said Dr. Mehari Gebreyohanns, a neurologist with UT Southwestern’s Peter O’Donnell Jr. Brain Institute. Like Wolde, Gebreyohanns was born in Addis Ababa, Ethiopia’s capital. In January, he published a study in the Journal of Neuroscience Nursing that found broad support for the new term among Amharic speakers in North Texas. The term “brain attack” benefits native English speakers, too, he said. When he saw Wolde later that first day, Gebreyohanns used ye-angol tikat to explain what had happened to her mother. “It draws a very nice parallel with ‘heart attack,’” he said. In a heart attack, the blood vessels that carry oxygen-rich blood to the heart become blocked, damaging the heart muscle. In a stroke, blood vessels supplying oxygen and other nutrients to the brain become blocked or rupture, killing brain cells. He told Wolde that the parts of her mother’s brain that control movement and speech had been damaged. “But don’t worry, I will be with you. She will get treatment,” he told her, Wolde recalled. A word for ‘stroke’ never developed in Ethiopia because the country has faced widespread poverty, instability and a shortage of doctors to educate the public. Gebreyohanns left the country in 1986 when he was 19 after surviving The Red Terror, a reign of persecution by its communist regime. He lost two of his brothers during that period. Gebreyohanns arrived in the United States alone on a student visa. He worked a variety of jobs to save for tuition and rent, including as a bell man at the Sheraton Dallas. He graduated from Georgia State University and then Atlanta’s Morehouse School of Medicine in 1999. Now he is taking his stroke education campaign to Ethiopia. Last summer, he launched a partnership between UT Southwestern and a large regional hospital in the northern city of Bahir Dar. The hospital serves 7 million people but has no neurologists on staff and lacks basic brain-scanning equipment. Under the partnership, UT Southwestern experts will teach local medical personnel in Bahir Dar the basics of neurology and, each year, will send doctors and doctors-in-training to help care for patients there. There are also plans to establish a resource center for autism, which Gebreyohanns said appears to be unusually common now in Ethiopia. The center would provide care for autistic children and partner with UT Southwestern neurologists on studies of the condition’s genetics. Gebreyohanns has also been in touch with Ethiopia’s health ministry about launching a public education campaign around stroke. Explaining strokes to rural populations in Ethiopia comes with extra challenges, he said. He has launched a similar campaign in Dallas, speaking on Amharic radio programs and making presentations about stroke warning signs and risk factors at local gatherings and at holiday feasts. Had her mother fallen ill in Addis Ababa, said Wolde, her relatives may not have taken her to a doctor. Instead, she might have seen a priest and received holy water. Here, her mother recuperated at Parkland for several weeks before coming home and continuing physical therapy. “She will be fine,” said Wolde, managing a smile after helping her mother through a grueling workout.